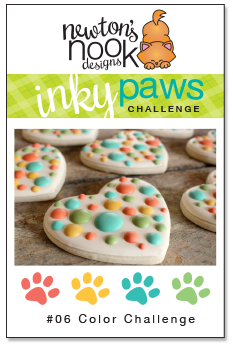 Newton's Nook Designs: Inky Paws Challenge #06 - Color Challenge! Happy Friday and the the first day of #06 Inky Paws Challenge! We're shaking things up a bit this year and decided to do a color challenge instead of a sketch this month! You have two weeks to play along. Deadline to enter is Friday, February 7th, 2014 at Midnight CST. The winner will be announced on the NND blog on Monday, February 10th. Create a NEW project (card or other paper craft item) based on the color combo above. Post your project to your blog or to an online photo gallery such as Flickr or splitcoaststampers (on splitcoast please use keywords newtonsnook and IPC06). 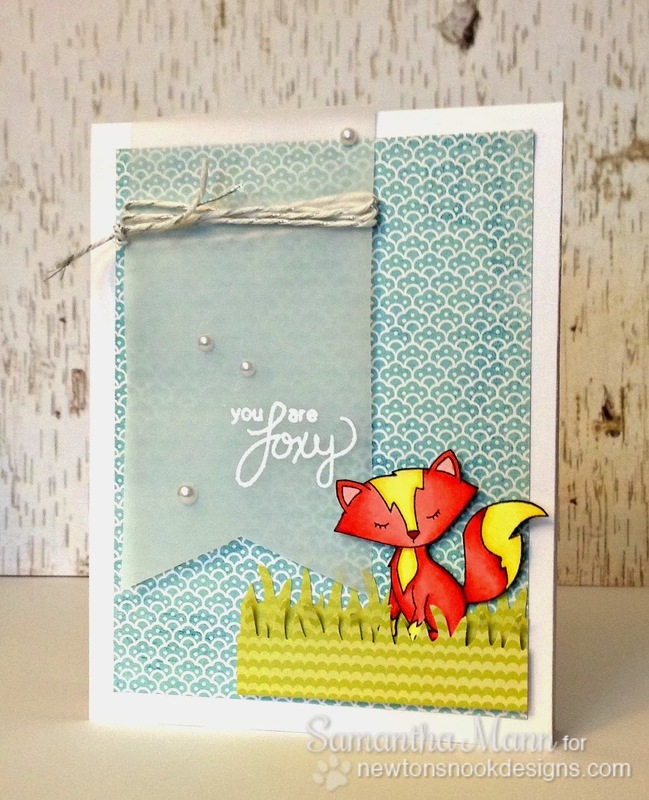 Samantha Mann created this adorable scene using the fox from our Sweetheart Tails set! Sooo Cute! 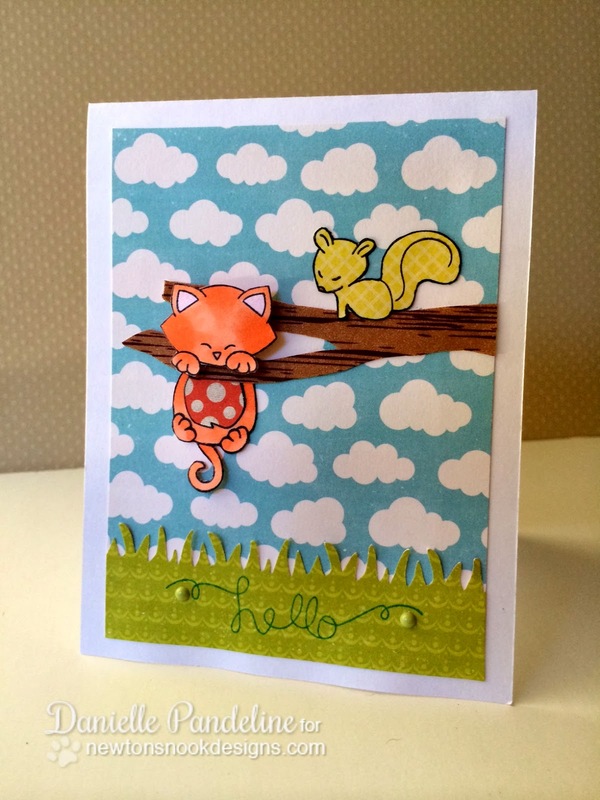 Here's a fun little note card set by Valerie Ward using our Love à la Carte stamp set! Wouldn't these be fun little love notes to tuck into lunches? 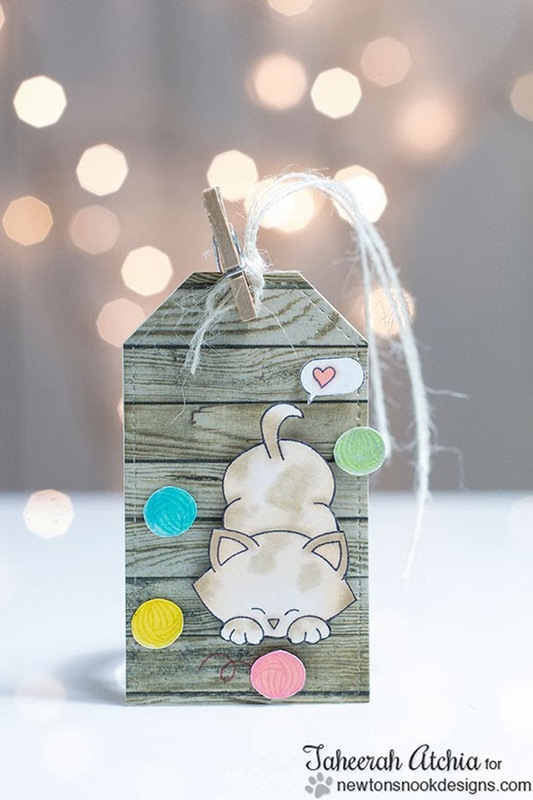 Taheerah Atchia used the Newton's Antics stamp set to create this adorable tag! Isn't it neat how she created balls of yarn in the key colors? And she snuck in the little heart thought bubble from the Just Say Cheese set too! 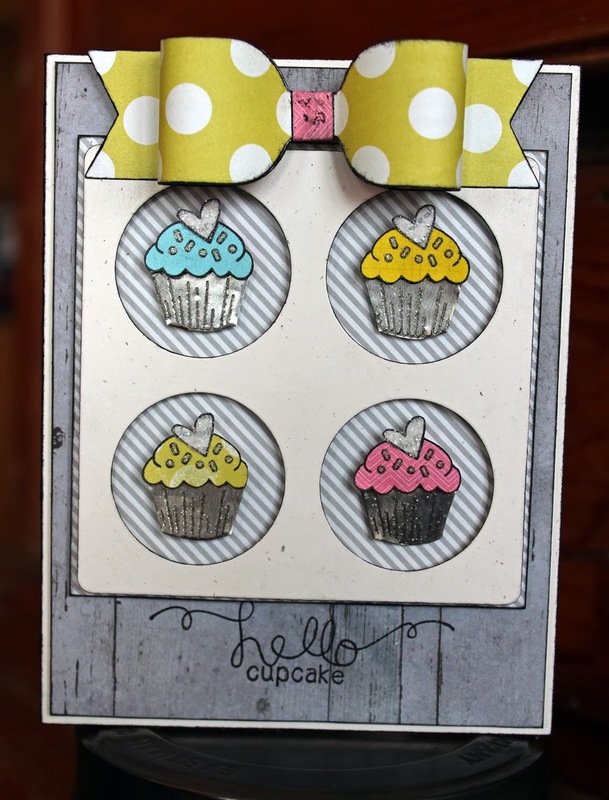 Larissa Heskett the used the cupcake from our Love à la Carte stamp set stamp set to create pops of color against a gray background! I love how the colors pop! She also used the "hello" sentiment from the Winged Wishes stamp set! 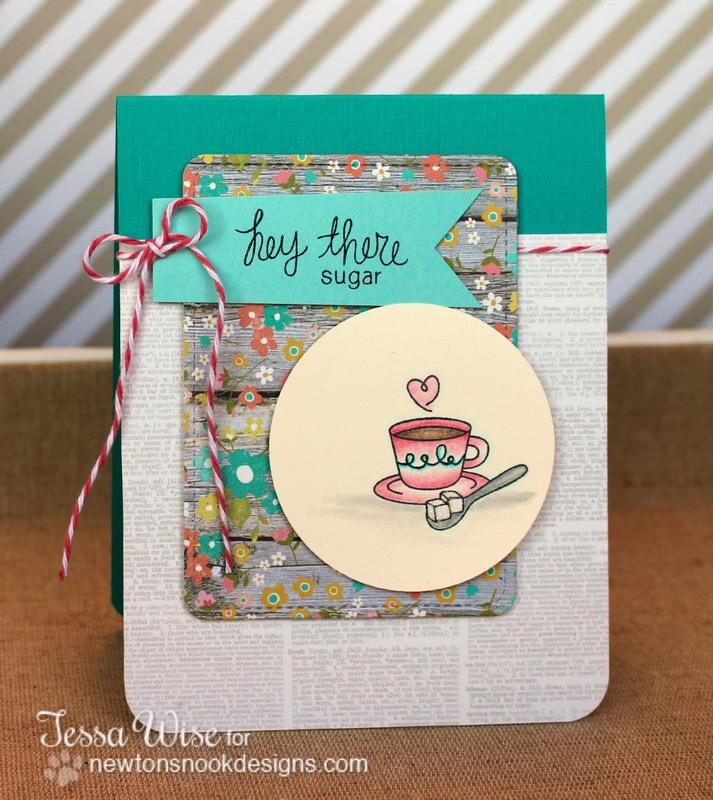 Tessa Wise the used the sugar stamp from our Love à la Carte stamp set stamp on this fun card! Isn't the bright teal and pink combo so pretty? 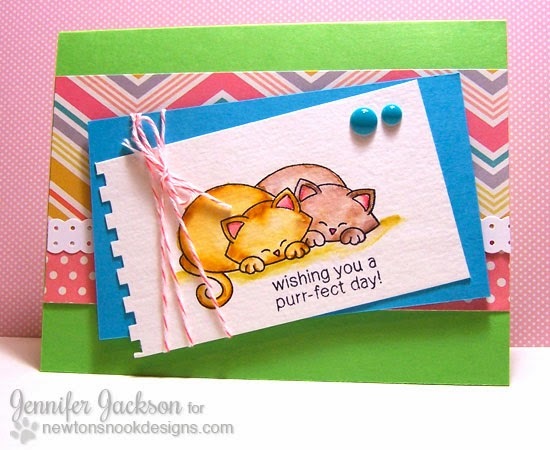 And a card from me :) I used the snuggling kitties from the Newton's Antics stamp set and watercolored them to bring in the yellow. Then I used patterned papers and a green card base to bring in the other colors! SUCH adorable projects, everyone! Here I go to all your sites to see more details! Love these cards!!!! Such different takes in the challenge!! Awesome!!! This showcase of sweetness is simply wonderful!! Each card is so unique, so charming and so inspiring! I think the message is clear: I need to add a few more sets of NN to my collection! What a great challenge - like these colors!